Favignana is shaped by nature like an “island-butterfly” emerging from the sea. Monte Santa Caterina reaching 287 m at its summit lords over the island from the west “wing”. The island is almost plain on the eastern wing which makes it possible to discover this part by bicycle. 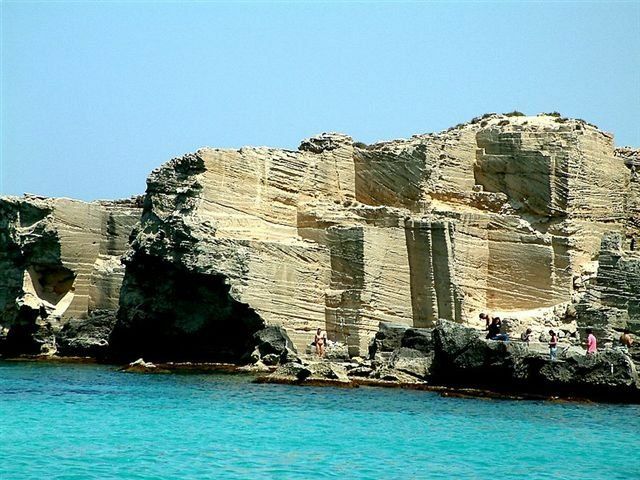 The tufa quarries are situated along the edges of Favignana. 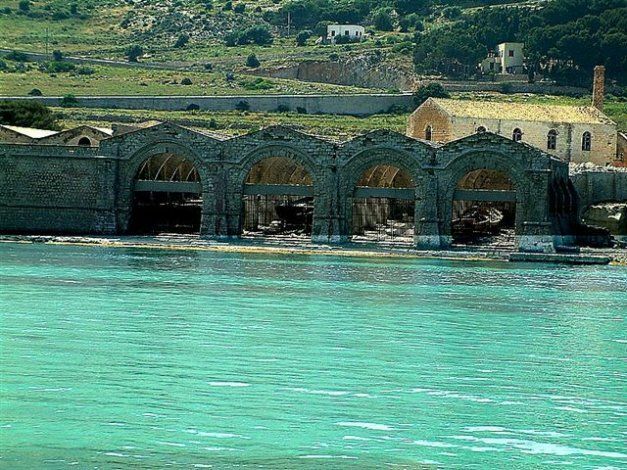 As soon as visitors to the island land they find the Stabilimento Florio Tonnara, a tuna processing plant that was close at the end of the 70s when the fishing industry was faced with a crisis. There have appeared some projects to give it a new breath of life by renewing and turning it into a cultural centre. However, the projects seems to be stuck, due to the fact that real funding has not been received yet. The harbour-front has some places offering dives, boats and dinghy excursions. The crystalline water of Favignana makes it perfect for dives. International diving courses, dives at night and visiting archaeological sites in the water can be organized at Atlantide. Some local fishermen have realized that fishing tourism is a good way to learn about the island, which provides them another source of income. A three day trip for fishing around the island can be set up. If beach life is what you are looking after, Miramare and Lido Burrone are where you should head for. They are the most attractive beaches of Favignana on the south coast. Shopping tuna delicatessens is a good option. Although it will be mainly focused on the main product of the island, tuna. A great number of shops supply tuna in a multitude of ways. Nobody can leave Favignana without trying smoked tuna, tinned tuna and bottarga. For the sea is what the economy of the island sources mainly from, it is possible to savour its produce in an endless number of varieties, especially tuna. La Tavernetta gives onto the main square. From its terrace it is possible to have a sweeping view of it. La Tavernetta has mastered the art of preparing fish, sea food and pasta. El Pescador, chosen by many locals, serves high quality pasta generally themed on fish and prepared on the spot..
Zazzamita is excellent for relaxing and live music is core in it. Zazzamita boasts a garden illuminated in the evening by shimmering candles only. 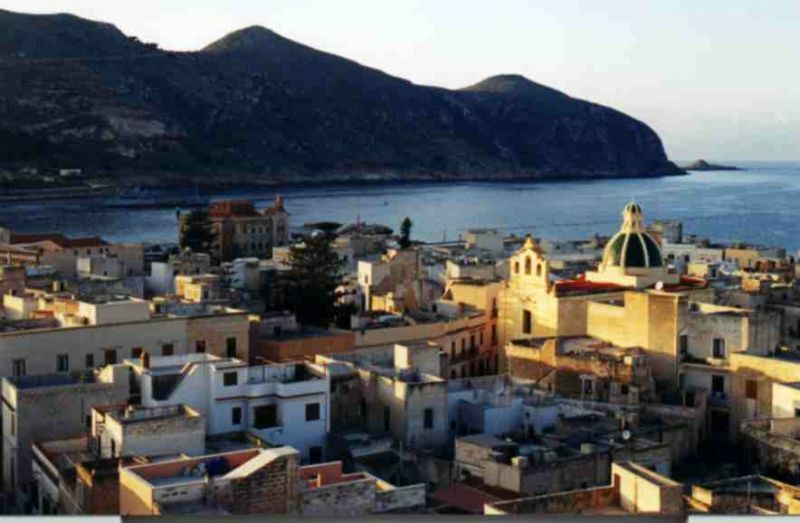 BY BUS: there are buses leaving from Piazza Marina in Favignana town which service the island. BY BICYCLE AND SCOOTER: finding a place to hire a bike or scooter is very easy. They abound. Bicycles and scooters are ideal to discover the island as they can reach coves and beaches like no other means will. BY HYDROFOIL: from Marsala (services: 1 a day in summertime), from Favignana to Levanzo and Marettimo (length: 10 and 30 minutes each).